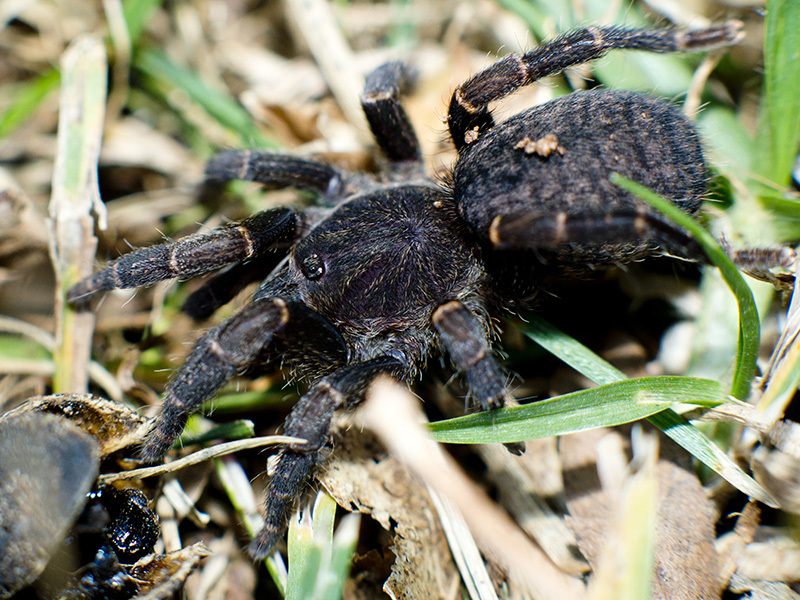 Baboon spiders are a subfamily of tarantulas which are native to the continent of Africa. They are impressive, charismatic animals with little known about their biogeography and ecology. The starburst baboon spiders, characterised by their orange brown colouration. 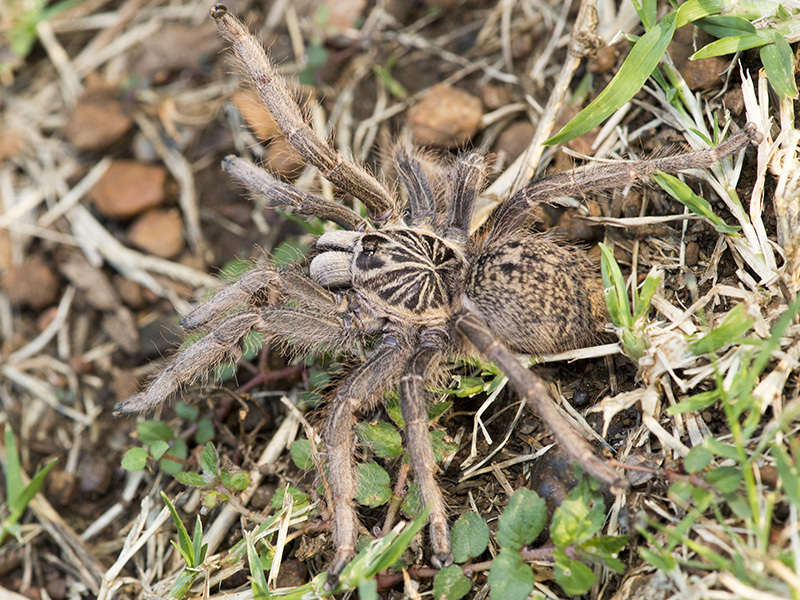 A rare genus of baboon spider with one species, known only from Angola. 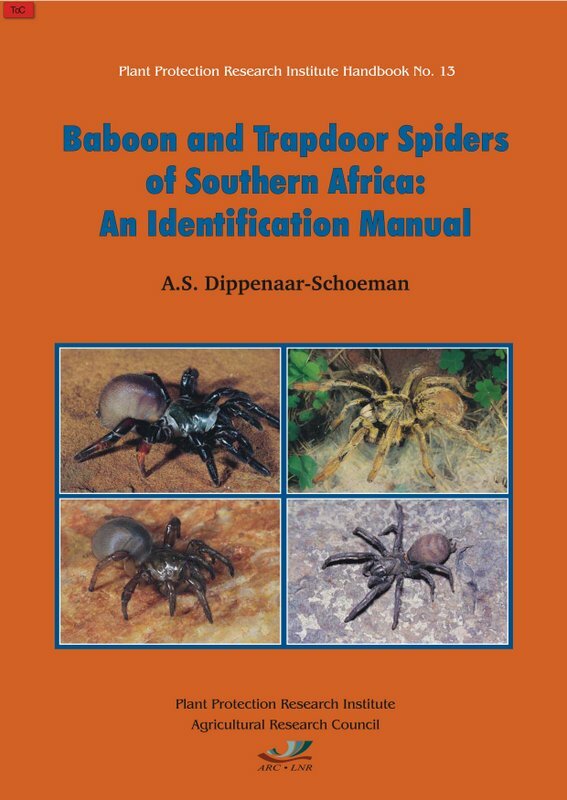 Small baboon spiders most common in the north eastern parts of Southern Africa. The horned baboon spiders, some of the most impressive species in the region. The featherleg baboon spiders, characterised by the very long hairs on their back legs. The common baboon spiders. Largely endemic to South Africa and Namibia. The lesser baboon spiders. Smaller than most baboon spiders and some of the most beautiful. The trapdoor baboon spiders, enigmatic and elusive. More diverse in East Africa but with a few Southern African species. 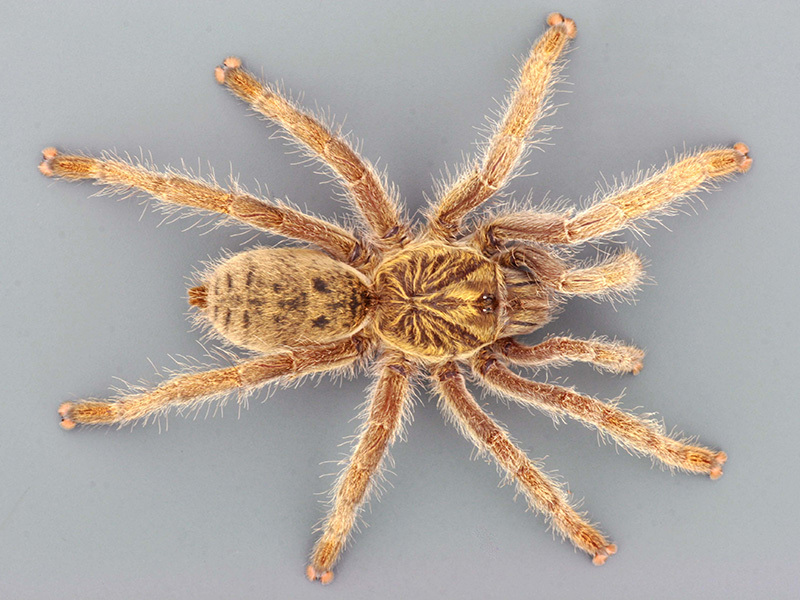 The only truly arboreal baboon spider belongs to this genus. A medium sized species endemic to the Eastern Cape. Here are some of the most important things to know. 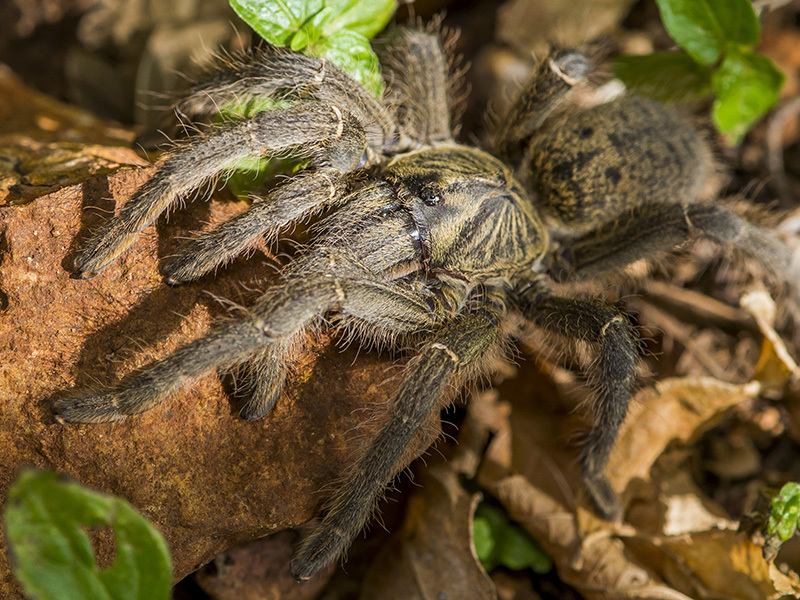 Many people are afraid of spiders (called arachnophobia) and are horrified by the thought of baboon spiders, or other large spiders, coming into their homes. This is not something to worry about. Most spiders don't actively intend to come into houses and would prefer to avoid human beings altogether. However, if one does accidentally come into the house you can safely remove it with the 'glass and paper' technique. Get a glass or other container that is large enough to fit over the spiders legs. Place it over the spider against the wall or floor it it sitting on. Slide a piece of paper in under the glass or container to the trap the spider, and take it outside and let it go in the garden. It is very unlikely that the spider will purposefully try to get back into the house, although the further away you release it, the less likely it is to accidentally re-enter the house. Please do not use pesticides to kill spiders. This is both unecessary and cruel, as it causes a slow and painful death for the spider. If you would like to learn more about medically important spiders please visit www.... No baboon spider spider species are known to be dangerous to humans in Southern Africa. What are the legalities of atlasing? 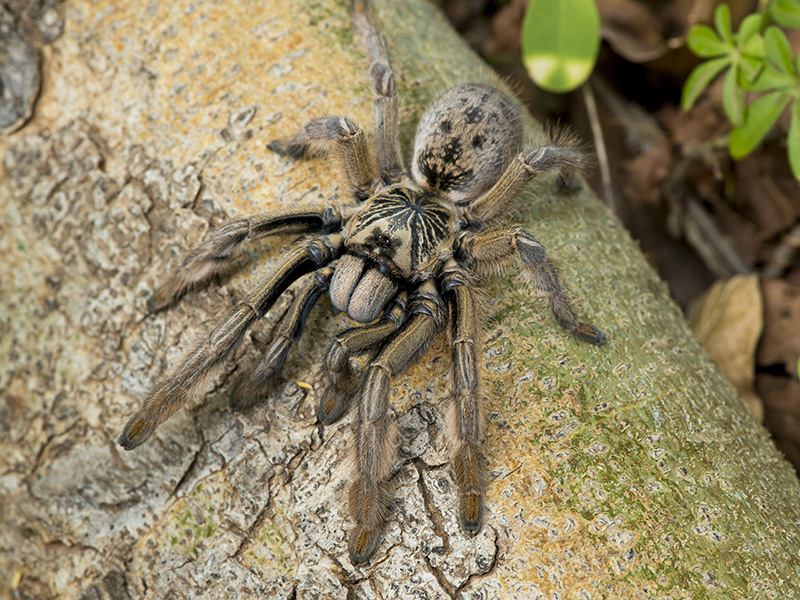 In several countries, including South Africa, it is not legal to collect or keep baboon spiders without permits to do so. This is one of the reasons that the Baboon Spider Atlas is focussing on gathering photographic records of spiders in the wild. Conservation authorities will not issue permits to collect spiders for research purposes to members of the general public, and there is a general embargo on issuing permits for personal or commerical purposes. 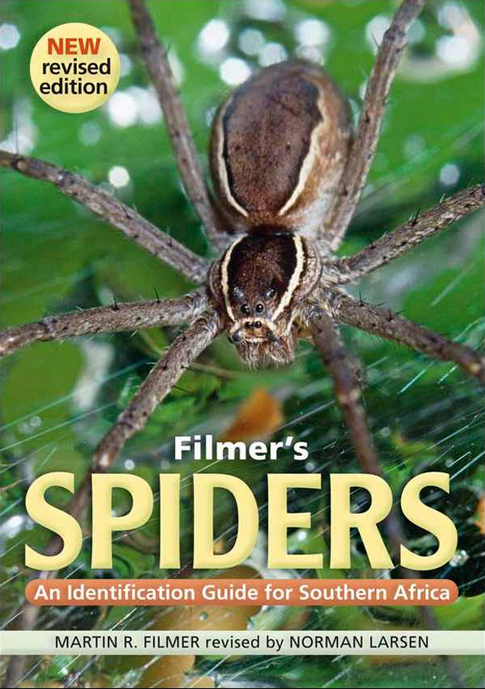 When conducting your atlasing activities please resist the temptation to take spiders home to keep as pets. In nature reserves and national parks permits are required for any kind of surveying, sampling, or atlasing activity. Obviously if a spider wanders into camp or you see one while on foot you can photograph it, but you cannot actively search for burrows by turning rocks, or lure spiders out of their burrows, as this consitutes interference with the wildlife and the environment. We strongly urge against active atlasing activities within nature reserves or national parks without the proper documentation in place. Please also make sure that when atlasing on private land or private nature reserves, that you obtain permission from the landowner or manager beforehand. This is an important courtesy towards the landowners, and is also important for maintaining the image of the Baboon Spider Atlas project. Some people might be concerned that they will be breaking the law by atlasing baboon spiders. Unfortunately the complexities of the legislation mean that there are some grey areas. However, the practicalities of law enforcement must be considered, and the question is what will constitute a prosecutable offence. Unless you have spiders in containers in your possession without the necessary permits, or search for spiders in protected areas, it is very unlikely that you will be liable for any kind of prosecution. To summarise, unless you have permits don't collect spiders and keep them in your possession. Also, don't search for spiders in nature reserves or national parks by turning rocks, digging holes, or otherwise disturbing the environment. Other than that you should have no problems carrying out your atlasing activities. There have not been any cases of legal issues with people submitting photographic records to any of the ADU Virtual Museums. 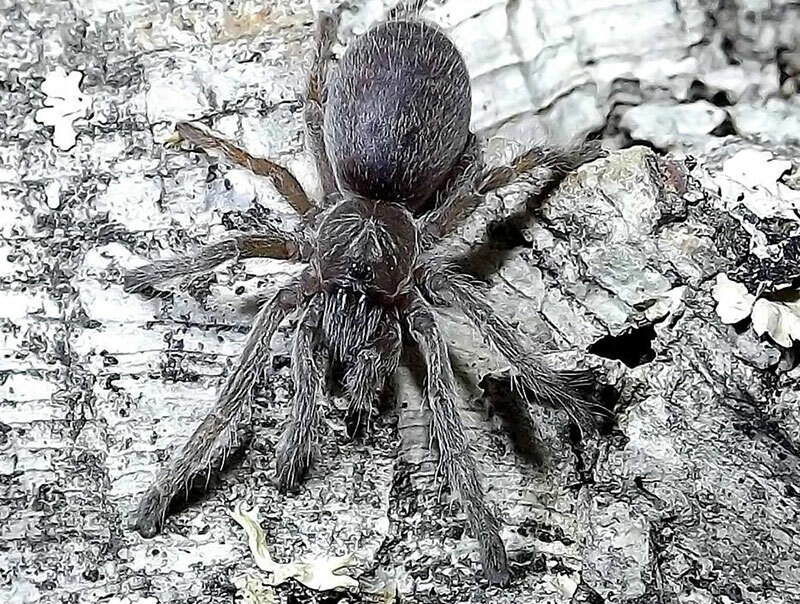 There are no confirmed records of any southern African baboon spiders being dangerous to man, although rumours do exist that one species from the Western Cape, Harpactirella lightfooti, delivers a serious bite. However, further substantiation to this claim is required. 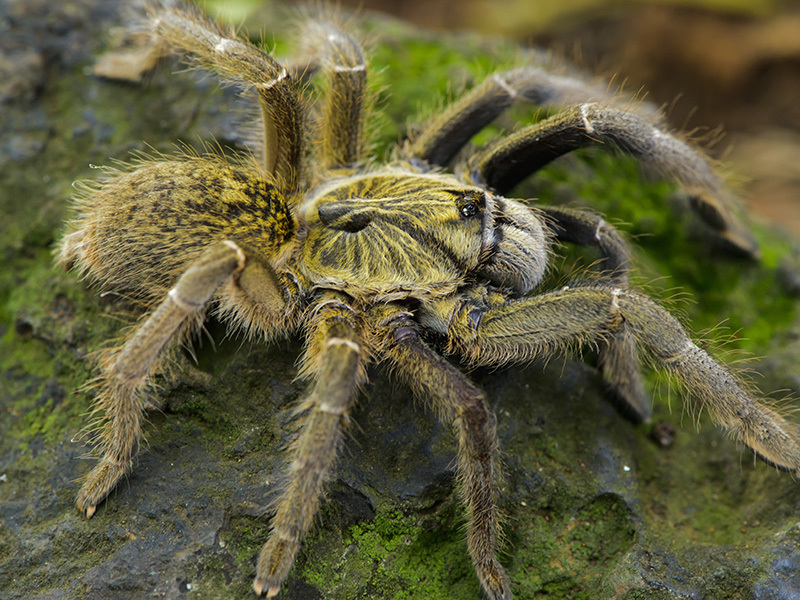 There are examples of other tarantulas from other parts of the world being dangerous to humans, most notably the Ornamental Tarantulas (genus Poecilotheria) from India and Sri Lanka, although the exact severity of their bites in humans has not been extensively studied. Are there specific areas or species we should be targeting? As the project progresses we will start to identify priority areas and species that should be targetted. 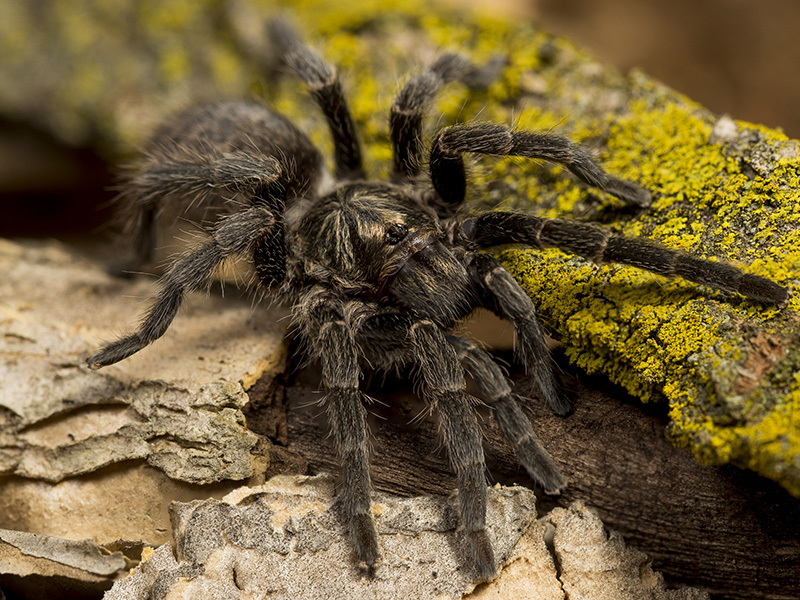 In general, the arid Bushmanland, Karoo, Kalahari, and Namaqualand regions are the most poorly known for most animal taxa in South Africa and the same is likely to be the case for baboon spiders. 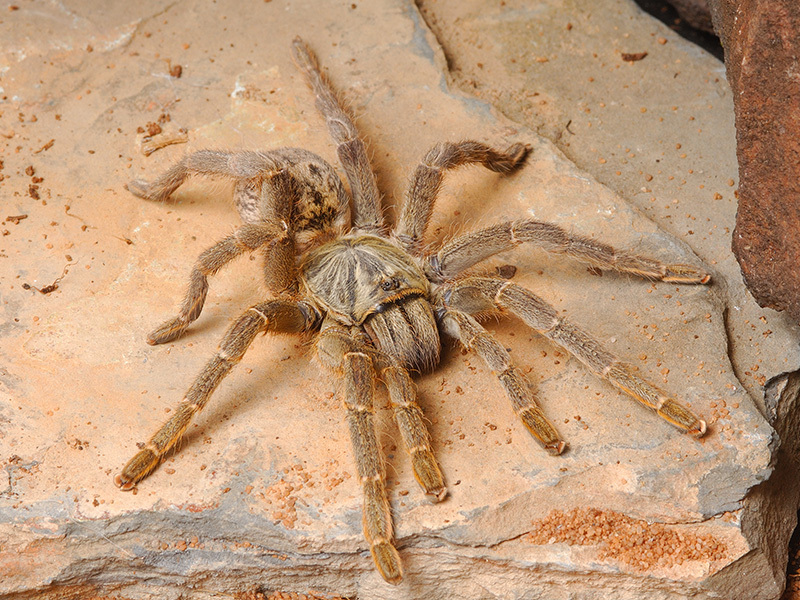 The baboon spiders of Namibia are very poorly known, as is the case for Zimbabwe and Mozambique. The southern Cape region of the Western Cape is also very poorly known and should recieve attention. Specific species that should be targetted for sampling to being with are Pterinochilus lapalala in the Waterberg,P. 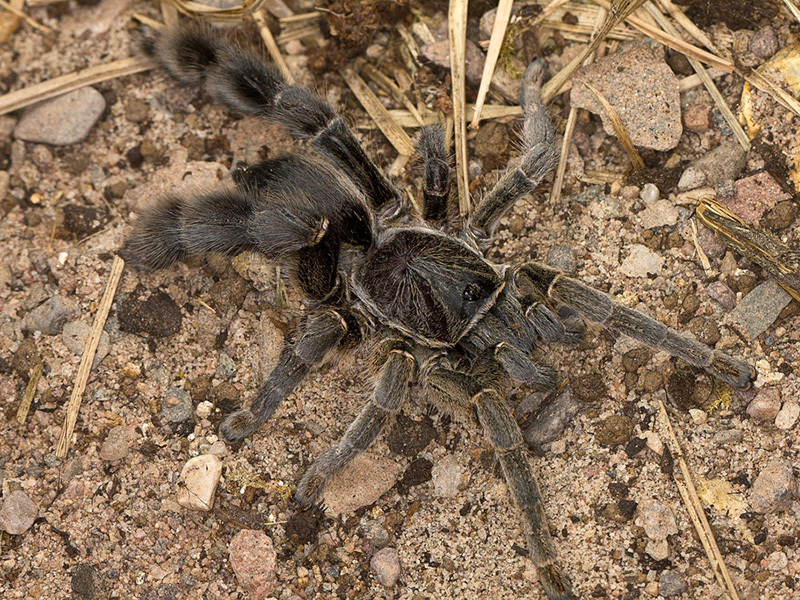 murinus and P. lugardi in the Soutpansberg region,Idiothele mira in northern Kwazulu Natal,Harpactira pulchripes in the Eastern and Northern Cape Provinces, and several of the species of Harpactirella and Brachionopus which are only known from one or a few localities. 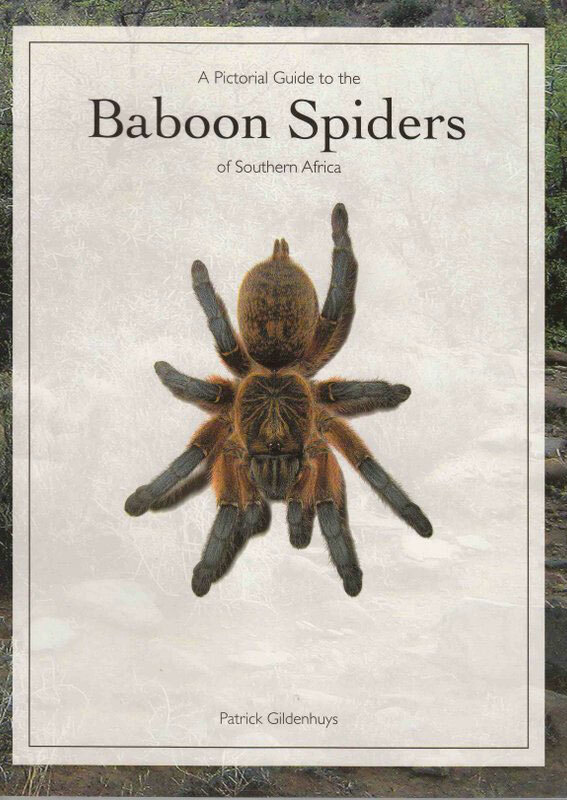 Where can I learn more about baboon spiders? Atlasing, the process of finding and photographing animals that interest you, and uploading your records to atlas databases, is great fun and becomes an obsessive pastime for many people. Here are some suggestions for software and mobile device apps that will make your experience more rewarding and enjoyable, and will help you be a better atlaser. Once you start building large library of digital images it can become difficult to manage all those images, and to find the specific ones you want at short notice. Picasa and Adobe Lightroom offer great image management facilities and are worth looking into. Probably one of the most powerful features is that you can tag images with a number of tags, such as locality or species names, and then later search for images with specific tags. Both packages also offer geotagging facilities, where you can add coordinate data to the images and plot them on a map. Together with the filtering capabilities, you can quickly produce point maps of your records for particular species or genera. Picasa is freely available and is intended mostly for image management with limited image editing facilities, while Lightroom is paid software and has good management and editing capabilities. Essential for any atlaser are good mapping, GPS and navigation tools. Google Maps and Google Earth provide excellent tools for planning expeditions. You can find potentially interesting habitats using satellite imagery, roads and tracks to areas you want to visit. You can mark potential points to visit and have them available later on your mobile devices, or you can export KML files for use with GPS apps in the field. GPS Kit is an excellent GPS app for the iPhone and iPad. It operates very much like a handheld GPS but has excellent additional functionility, like Google Maps backgrounds, and easy text entry. You can store waypoints in groups (eg for a particular trip or holiday) and it gives basic compass navigation to waypoints which is very useful for finding sites, or even tracking back to individual spider burrows. GPS Essentials offers similar functionality to GPS Kit for Android device users. A large number of note taking apps are available for mobile devices and potential users should do a little homework to decide which suits their needs best. One that is worth looking at is Evernote. It allows you to organise your notes into notebooks so that you can keep your spider records separate from your other notes, or keep notes from particular trips or projects together. One of the nicer features is that it automatically backs up your notes to the cloud, so you don't have to worry about losing your data if something happens to your device. Just note that you still need to keep coordinates for the sites you visit in your GPS app. Even though Evernote does record coordinates it hides them from you if it can use a place name instead. We are currently working on an app that will allow you to upload images to the virtual museums directly from your mobile device. Watch this space. Don't go atlasing in risky areas. The most dangerous areas for violent crime or armed robbery are around towns and cities, especially where there are informal or low income settlements nearby. The risk is generally low, even in South Africa, and incidents have been infrequent in the history of the ADU's atlasing projects. However you should always be sensible in choosing the areas where you will be working. Also, be careful about carrying valuable equipment, like expensive cameras, if you are in a potentially unsafe area - they may be a temptation too good to refuse. Don't go alone. When working out in the field you should always take someone with you. In the event of injury or another calamity you may need someone to go for help. The risk of crime is also lower if there is more than one person. It goes without saying that company is a must for female atlasers. Always take a first aid kit with you in your vehicle. You never know when you might need it. Make sure to wear appropriate clothing for the field. Good boots provide protection against thorns and snake bites. Long pants prevent cuts and scratches from thorns and help to keep the ticks out. A hat is essential under the African sun. Hand gloves help preserve skin when turning rocks. If you go road cruising you must wear a reflective vest. This is a legal requirement when working on or near a road, and is essential for personal safety, even on relatively quiet roads. If you have a spider you'd like us to identify please use our record upload form. 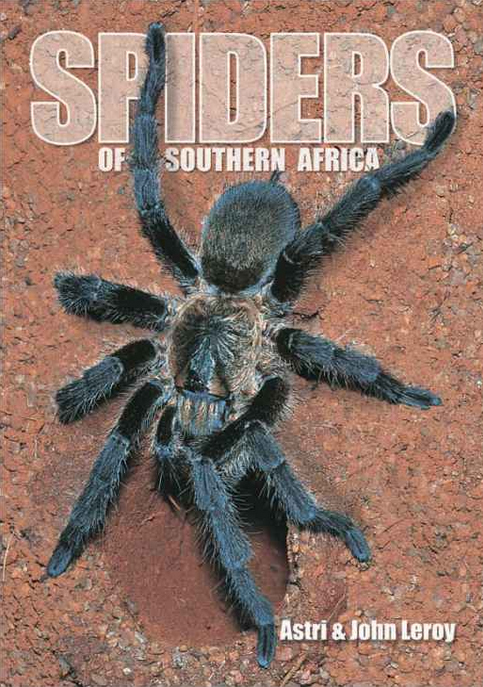 To get in touch with the team please visit the Baboon Spiders of Southern Africa group on Facebook and leave a query.